Wow! This is great news for those of you who have been on my IBD Remission Diet – or are considering it – or for those of you who use Absorb Plus (the elemental shake product I formulated) on an ongoing basis. Dr. Silvio Najt, MD (who used my IBD Remission Diet to heal his daughter’s colitis) just sent me this clinical trial where they assessed 26 patients with Crohn’s Disease, who used a combination of an elemental diet for half of their food intake (900 – 1200 calories per day) and then whatever they wished for the other half (“free diet”). The control group consisted of 25 patients also with Crohn’s Disease who just consumed an unrestricted diet, whatever they wanted to eat (100% free diet). The elemental diet product used in this study is Elental – I couldn’t get an ingredient list for this product (in English), but it is manufactured by Ajinomoto – the principal manufacturer of MSG in Asia, so I wouldn’t think the ingredient quality would be anywhere near the high standards of Absorb Plus. I suspect it would be more equitable with the typical pharmaceutical elemental products like Peptamen, Subdue, Modulen, etc. Click here to see a comparison of Absorb Plus and these common elemental products. 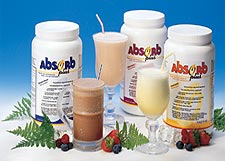 Just comparing the ingredients, one would expect Absorb Plus to produce even better outcomes. Next, there is an entire world of difference between a medical elemental diet and The IBD Remission Diet. provide extensive healing to many organs and systems of the body via targetted supplements like L-glutamine, CoQ10, Pycnogenol, Bioflavonoids, Vitamin C, George’s aloe vera juice, MucosaHeal, etc. It also provides key rebuilding and strengthening via homemade bone and medicinal mushroom broths and 10 specific therapeutic amino acids. This is why the IBD Remission Diet is effective whether you have Crohn’s, colitis or even IBS – it is not just a diet, it is a complete targeted healing program. But getting back to this half-elemental diet clinical trial – I’m still happy to have it as it some interesting data on the different ways you can use an elemental diet. Many people cannot adhere to a 100% elemental diet, so this is good alternative for them to try. Not as effective as an exclusive elemental diet, but still a significant improvement in outcomes. 1. For the “regular food” portion of a half-elemental diet, here are some very well tolerated shake recipes using gentle food ingredients you can find at your local grocery store or farmer’s market. 3. Here are some well-tolerated protein shake recipes here which are better tolerated than normal food. People use these shakes when they’re ready to transition off an elemental diet, before they start eating regular food. So these shakes may be all you need. 4. Or you can use my Food Reintroduction Chart (given in Listen To Your Gut and The IBD Remission Diet) and try to stick to the foods listed in Phases 1 and 2. These foods have a history of being well tolerated, yet nutritious. If this is too difficult, then at the very least, stick to the Maintenance Diet guidelines (again, given in both books) and avoid these top allergen foods: dairy, wheat (gluten), corn, soy, sugar and refined carbs. I suspect this will further improve relapse rates from those listed in this clinical half-elemental trial. Many of my readers also use Absorb Plus intermittently – when they feel themselves getting run down, or in danger of a flare, they go on Absorb Plus shakes and bone broths exclusively for 3-7 days and then gradually go back to their well-tolerated foods. What is the longest amount of time I can stay on an elemental diet? I had one reader who used The IBD Remission Diet exclusively for three months (the usual duration is 6 weeks). I had another reader who used it for the entire duration of her pregnancy, but she combined it with juicing raw vegetables to provide vital phytonutrients. Her baby was born normal weight, scored high on the Apgar test and 3 years later was still healthy. Is it okay if I use Absorb Plus long-term, once or twice a day? Well, that’s the great thing about this study, because it shows that not only is it okay, it’s beneficial. However, I do need to say that if you can obtain and tolerate raw milk, I do feel it is better to use that than any whey protein or elemental shake – simply because it is an unprocessed food. I have other readers who use Absorb Plus ongoing to replace either breakfast (because they don’t have time) or supper (because their system is more sensitive in the evening and they find they sleep better). I have other readers who travel a lot for work, so they always take Absorb Plus with them – one of my readers is a film producer and he often goes to locations where finding healthy food is a hassle, so with his suitcase filled with Absorb Plus and Udo’s oil, he doesn’t have to worry about it. Other readers just go repeatedly on and off the IBD Remission Diet, according to how their symptoms are doing. If they’ve eaten unhealthy food, drank too much alcohol , partied too much, work is stressful, their baby is keeping them up at night, etc. then they will just go on the IBD Remission Diet until things (and their gut) calm down. As Dr. Najt, MD says: These diseases are so linked to the emotional and stressors, that there’s no point in talking about a “cure”. It’s more about the Healing Journey and dealing with things as they arise. I agree, the point is to continually spiral upward, strengthening the body, healing and balancing it so that its ability to handle stressors increases. Whilst simultaneously healing our emotional patterns, beliefs and blocks that predispose us to illness in the first place. p.s. One important thing to keep in mind with any elemental product or whey protein shake, these substances are very sticky on the teeth. So you need to brush your teeth really well, paying particular attention to the gum line, where they tend to adhere the most. Personally, I would use an electric toothbrush as regular brushing just doesn’t clean the teeth well enough. I think I should look at the remission diet. I cope alright but I certainly can improve where I am at. Although a lot of attention is paid to the physical aspects of inflammatory gut problems, for many it appears to also take a psychological toll. One of the things that has me coming back to your site is your grounded matter-of-fact approach to the body – removing much of the stigma. 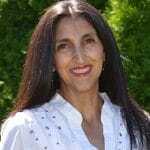 I am trying to convince a family member who has lived with an inflammatory gut problem (first diagnosed as celiac sprue and then redefined as Crohn’s) more than half of her life (she is now in her mid to late 30’s) to seek some insight from your site. She has become rather detached from her physical self, and her dislike of her own body and food issues has prevented her from engaging with people – and I think she is clinically depressed. Unfortuntately, she has given herself over to conventional medical treatment – which may be contributing to her mood and reproductive dysfunction. She seems resigned to this fate, and I find it hard to let that be but know it isn’t my call to make. Wish you many joys in the coming year and those that follow. PS – this evidence of the efficacy of an elemental diet is great for improving standard of care – but it would be wonderful if a group of researchers could be convinced to use your protocol in a trial – it would certainly put it more visibly on the map. Ashley – your family member sounds too deep in a rut and no doubt needs a “spiritual” shift, rather than an intellectual one. So rather than presenting her with info, I would seek spiritual/emotional healing for her in whichever modality fits with your belief system. i.e. you can pray for her, do EFT on her behalf, do energy healing on her, etc. Is it acceptable to use raw milk with the elemental diet and see good results? I recently had an IBS flair up for about the last week which consist of bleeding, spasms, and sever constipation. I am a bit confused and overwhelmed. This time I opt to do the alternative elemental using the yogurt and banana, and avocado and coconut water however I can not tolerate dairy so I am using coconut milk yogurt (is this acceptable)? I am adding supplements such as L-Glutamine, Vitamin C, Vitamin E and B-Complex. I am also taking a Natren Trinity daily. I started with the beet, kale, and celery juice to combat the constipation. My doctor prescribed Linzess and Mira lax as a daily regiment. I am still consuming that in the morning before anything else. I made the Organic Chicken Broth so I am consuming that in between shakes. I feel a little overwhelmed because it seems like I am doing too much at one time and I see feel horrible. I am having minimal bowel movement with just a little each time sometimes 3 to 4 times a day. There are a lot of things to help and bother the gut. It can take time and very specific treatment to fully heal again. It sounds like you are taking some great steps to heal so far. Doing the full elemental diet with the shakes and bone broth may be of benefit to you in cleaning out your symptom. The coconut milk yogurt can be a good substitute for regular yogurt, you just may want to check the ingredients for additional preservatives, sugars, etc. I personally can not do dairy either and have looked at ingredients on coconut milks that I then looked up online and did not seem healthy for me at all. So you may want to be cautious on ingredients, even when something sounds healthy. I personally like rice milk and products myself. The beet, kale, celery juice can be great, you just may want to be certain your body is ready for raw vegetables. I still do not eat raw vegetables myself. I have found them to make my IBS, pain, and constipation worse. You may also want to check out the healing diets in the book starting on page 209. I personally try to do the minimize gas and bloating diet for constipation. As well as after doing the elemental diet I added in foods slowly by the food reintroduction food chart on page 251. By doing the diet, the things on this page, and cleansing through the L-glutamine, george’s aloe vera, and Wild Oregano Oil, drinking a lot of water I never have constipation problems anymore. Also on bad days I used to use one Magnesium Citrate capsule in water and it worked great. Jini cautions against prescriptions and medicine stool softeners and believes they can just make constipation worse. So you may want to look into that more to make sure they are not harming your body and gut. I understand it definitely gets confusing and overwhelmed trying to figure it out. I was there for months! We are happy to give you guidance and help the best we can through our knowledge and research. Please feel free to constant at service@listentoyourgut.com as well. Also please keep it mind it takes time to undo all your body has gone through in years. Also Jini, and myself as well, definitely recommends looking into all aspects in your life in healing, emotional, household products, etc. It can all effect your physical health, as she talks about on the website and in the book. However, she does also recommend to listen to your body on what is best for you and to try not to let trying to change everything to heal stress you out more. If it does just take it a step at a time on what you feel is best for you. I had to learn and figure that out myself. I have had Crohn’s disease since 2006, I wanted to do the elemental diet but I had a doubt I am on Pentasa and Azothioprine and UDCA tablets, and I am wary of stopping them without consulting my doctors. So can these medications be taken along with Absorb plus elemental diet.